Sarah Morton hopes discovering the truth about the 1859 shipwreck of the Royal Charter will silence the demons of her past. Having never read Gillian Hamer before, I did not know what to expect but the short description caught my attention. It is difficult writing about one small section of the world but Gillian does a fine job describing the Northern Anglican coastline without frivolous detail that bogs down a story. The setting is as much a character as the people, both past and present. She uses the Old House, far and away from neighbors and towns, setting on an oceanside point of the island, where a lonely ghost seeks redemption for her family. The characters are well-written, however, the detectives are rather one-dimensional and a bit stuck in a detective almost a columbo-bungler in a way. Always too late to see anything, after the fact and people running through the scene but does add the element of authority. The plot is well-paced, nothing was rushed or left out, and nothing was added in as filler that I could read. 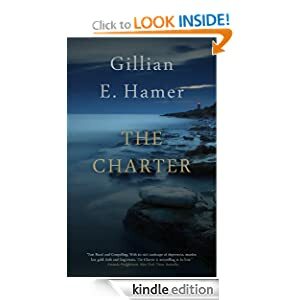 The Charter was an enjoyable read and I would give 4 1/2 stars.